We also offer bespoke skirting to match your custom made door. If you have your measurements we can quote you per meter for skirting board. 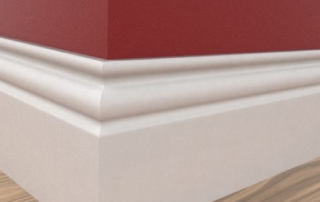 If you are searching for custom made skirting mouldings you have came to the correct place, we offer bespoke mouldings to match any door. We recommend that a professional joiner measures and installs our product so you receive the best possible product and service. Trunk Doors is one of the UK and Ireland’s leading specialist manufacturers of bespoke architrave and skirting. All our made to measure architrave and skirting products are crafted from the finest materials. Our wide range ensures that whatever your vision, we can provide you with the highest quality skirting and architrave surrounds for your custom made door.